Destiny 2 was taken down earlier today for an extended maintenance period, and now Bungie has confirmed said maintenance period has been extended by a full hour. According to this recent tweet from the official Bungie Help Twitter account, the currently ongoing Destiny 2 maintenance will now last until 12 p.m. PST (3 p.m. EST). Originally, the maintenance was scheduled to end an hour earlier at 11 a.m. PST, but it looks like Bungie ran into some unforeseen issues. The good news is that, once the maintenance is over, the first weekly reset for Destiny 2 will have been put into effect, which means players will be able to once again work towards the coveted weekly rewards and participate in a brand new Nightfall Strike. Tomorrow will also see the release of Destiny 2’s very first raid. If you want to know the minimum power levels you should shoot for in order to participate in the raid, we’ve got you covered. Update: It looks like the maintenance period continues to creep on and on. After extending it a second time to 2 p.m. PST (5 p.m. EST), Bungie's most recent update on the issue seems to indicate that Destiny 2's servers could remain offline even longer than that. Here's hoping this won't in turn push back the planned release of tomorrow's Leviathan raid. Update 2: The maintenance has officially concluded. 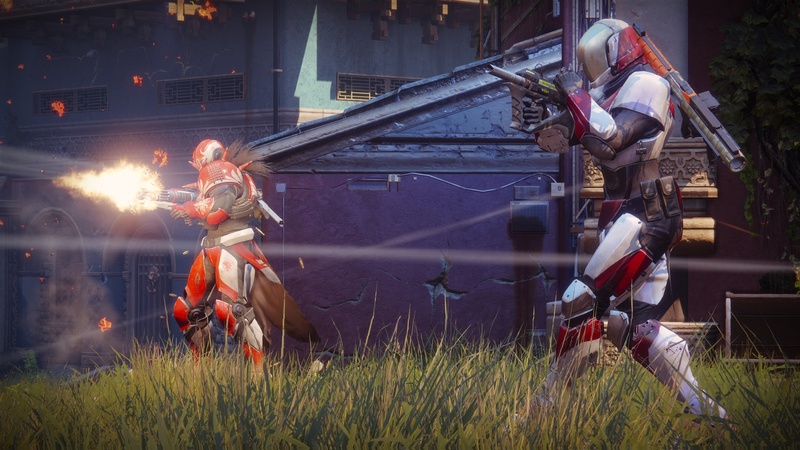 Bungie warns that players might encounter a bit of a server queue wait as everyone rushes to get back in, but the servers are officially back up and running.